The balloons are from PTI's Birthday Style stamp set and the sentiment is from Tremendous Treats: birthday. Simple perfection, Megan. Sophisticated but festive. Love this! Oh how absolutely adorable! 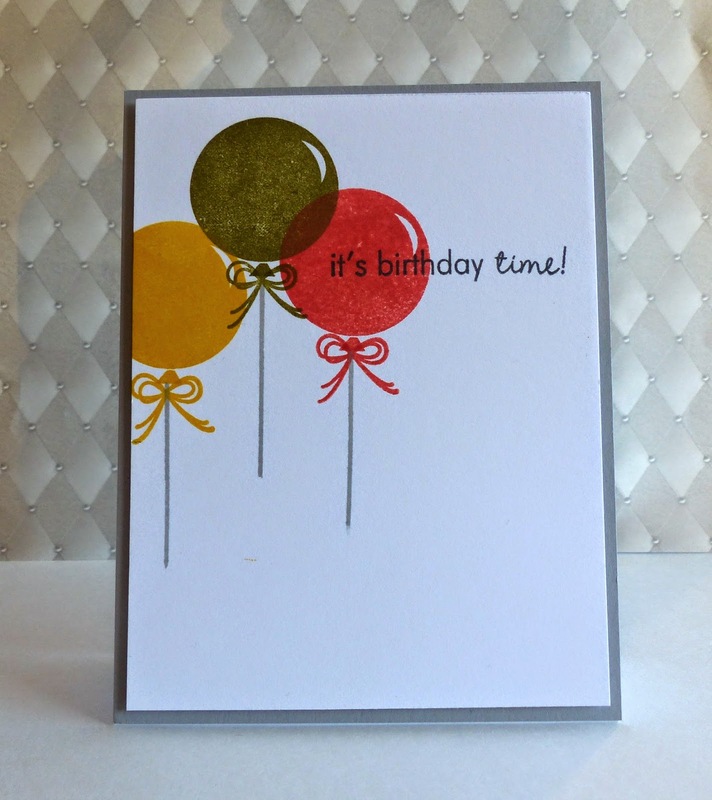 Love the balloons and the colors you used! Oh, this is fabulous, Megan! I love how the balloons look like they're floating away -- so fun!